This series gives practical advice to build deep connections with your kids and lead them into a deep relationship with Jesus. Learn to empower your children so they can reach their God given potential. 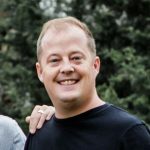 Dave Perkins is the lead pastor of Radiant Church in Kansas City. He lives in Kansas City with his wife and four children.